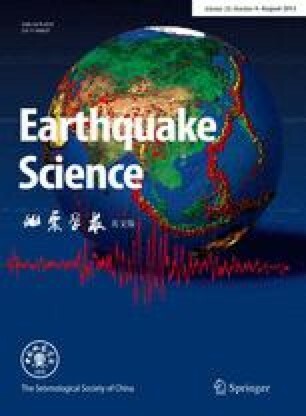 The relations between sunspot numbers and earthquakes (M≧6), solar 10.7 cm radio flux and earthquakes, solar proton events and earthquakes have been analyzed in this paper. It has been found that: (1) Earthquakes occur frequently around the minimum years of solar activity. Generally, the earthquake activities are relatively less during the peak value years of solar activity, some say, around the period when magnetic polarity in the solar polar regions is reversed. (2) the earthquake frequency in the minimum period of solar activity is closely related to the maximum annual means of sunspot numbers, the maximum annual means of solar 10.7 cm radio flux and solar proton events of a whole solar cycle, and the relation between earthquake and solar proton events is closer than others. (3) As judged by above interrelationship, the period from 1995 to 1997 will be the years while earthquake activities are frequent. In the paper, the simple physical discussion has been carried out. These results supported the exploration and studies of some researchers to a certain extent. This work is supported by Foundation of the Chinese Academy of Sciences (major item).